As discussed in this blog post in Scientific American (see blog post here) the Tevatron experiments may have a few last interesting things to say when it comes to the Higgs Boson at the March meetings. At the American Association for the Advancement of Science meeting Collider Detector at Fermilab (CDF) spokes person Rob Roser said that we can expect “something interesting” coming from the Tevatron in the coming month. Now normally I don’t get into the excitement of “hints” of the Higgs because now it seems you can’t sneeze with out causing a “3-sigma” deviation in you data. 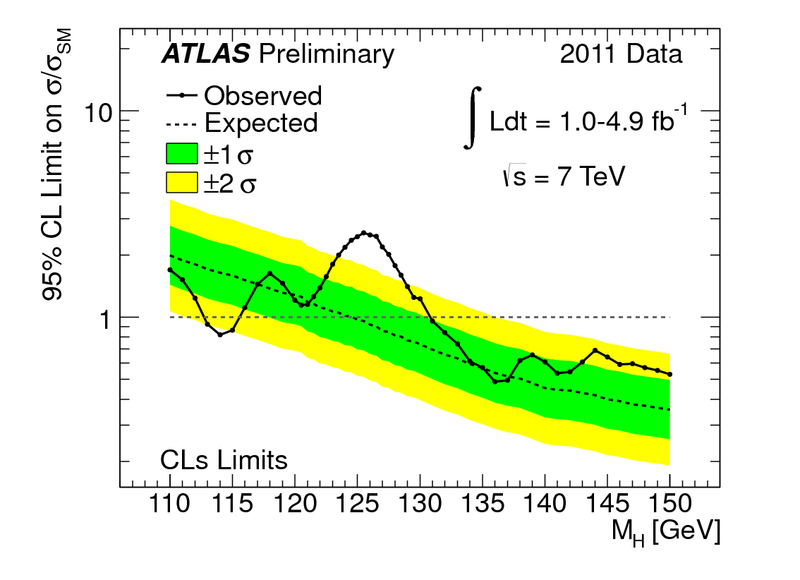 However, if we are to take the last results from the LHC seriously and there is an intriguing deviation around 125 GeV for the Higgs search the data from the Tevatron might be very well suited to being sensitive to seeing evidence for the Higgs. However, this didn’t compel enough people to make this happen, so we are left with this opportunity for the Tevatron to contribute to the Higgs search at a maximum of 3-sigma confirmation due to limited data samples. So this is just to say that the Tevatron is/was a great experiment and is still actively contributing to the discovery process unfolding every day in High Energy Physics and we should all stay tuned for this possible independent confirmation or refutation of the claims of where the Higgs boson may live. It Might Look Like a Higgs, But Does it Really Sing Like One?